Chenille PatchesJust like your high school letterman's jacket & sweaters – remember those? 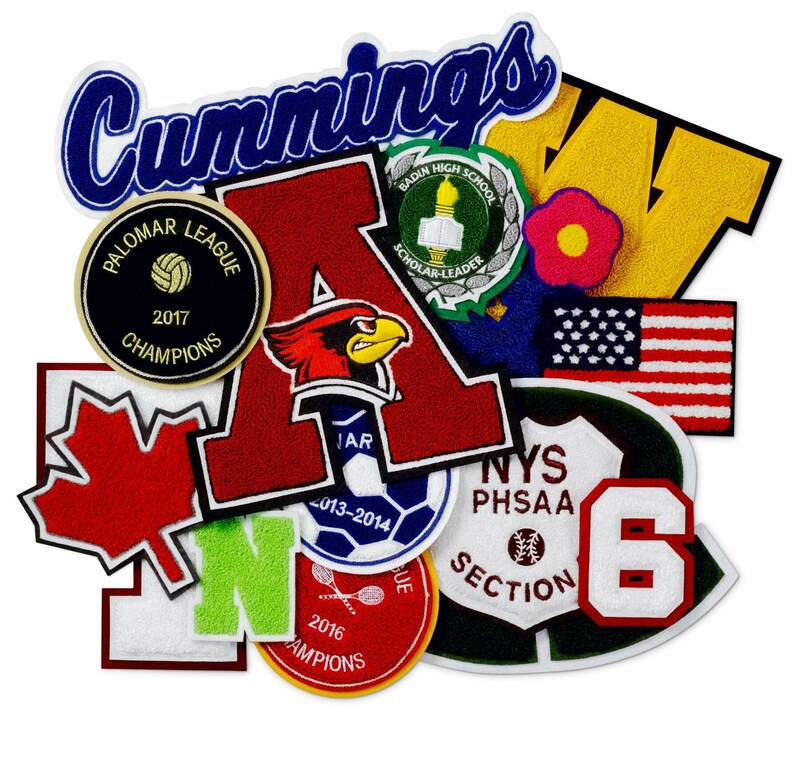 Chenille Patches are a perfect accent to all apparel, especially Letterman’s Jackets, Hats and Sweaters! From 2”-15”, let us custom make your next Chenille Patch job. Enter in your product information below, and we will have a quote to you within 24 hours. It's that simple! File types accepted: PDF, JPG, JPEG, PNG. Smaller than of 5MB.